on October 28 at UCR Palm Desert features a CV Water Counts panel on sustainability and technology regarding water use in our local agriculture and golf industries. The 12th Annual Desert Garden Community Day on October 28 at UCR Palm Desert features a CV Water Counts panel on sustainability and technology regarding water use in our local agriculture and golf industries. What are these industries doing to conserve water in our desert community? How are these industries using technology to use less water more efficiently? What are they doing to make their industries more sustainable for the future? I hope you are as excited as I am to welcome our sponsor CV Water Counts to the 12th Annual Desert Garden Community Day and look forward to seeing you at UCR Palm Desert on October 28 for our free event. Doors open at 8:30am and presentations begin at 9am and continue to 1:30pm. 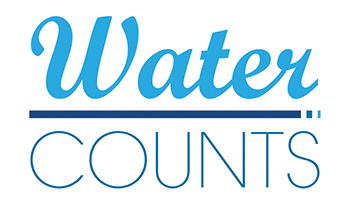 The CV Water Counts panel begins at 12:45pm.